With the 50th Super Bowl around the corner, sports metaphors abound this time of year. The PSYOP Community finds itself playing in ‘home fields’ around the world. Many of today’s AOs are in the Islamic world, an area of the world and a culture that are foreign to many of us. I had the great pleasure of attending a lecture sponsored by the Safe Communites Institute, a part of the USC Price School of Public Policy. The speaker, Dr. Doron Pely is the Executive Director of the Sulha Research Institute (see: www.Sulha.org) and a colleague of mine at TALGlobal (www.talglobal.com). While we are taught that it’s often dangerous to generalize, sometimes an educated, Kentucky windage leveraged analysis is a better place to start than one of ignorance. 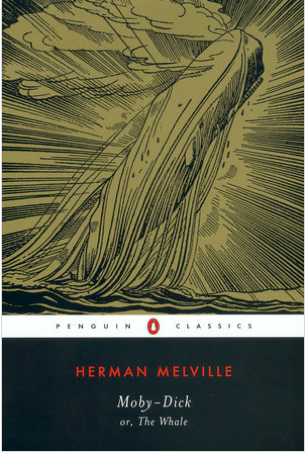 Today’s posting is a synthesis of the hour and half lecture. The data upon which it is based comes from a few sources. The essence is a comparison of perceptions of Israeli’s by Palestinians in the West Bank and Gaza Strip and vice versa – the perception of Arabs of the West Bank and Gaza Strip by Israelis. Arabs gathered Arab perception data while Israelis collected Israeli perception data. The gross generalization is that these perceptions will closely align with perceptions of the “West” by Islamic populations in areas of conflict, especially those AOs with active military operations. How does the target audience perceive you? · Bad, dishonest and uneducated. · Violent with a lack of pity. The research also indicated that the West is perceived as lacking understanding of Islamic culture and lacking in empathy. This last point is critical because empathy is a critical prerequisite for conflict resolution. Research also showed that the Palestinians were split pretty evenly as to whether they felt it was beneficial to achieve a peaceful settlement. This point means that most Islamic conflict AOs will start with the West playing catch-up in gaining the trust and confidence of the population. 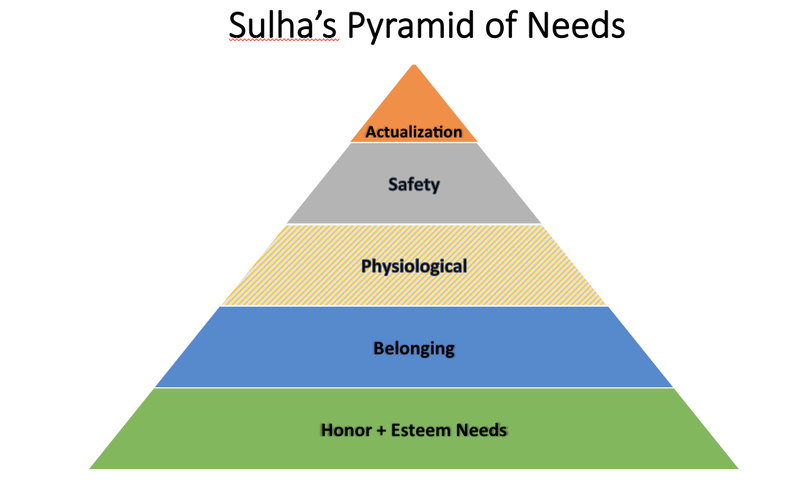 However, the Sulha Pyramid below shows a juxtaposition that is fundamental to understanding Islamic culture. 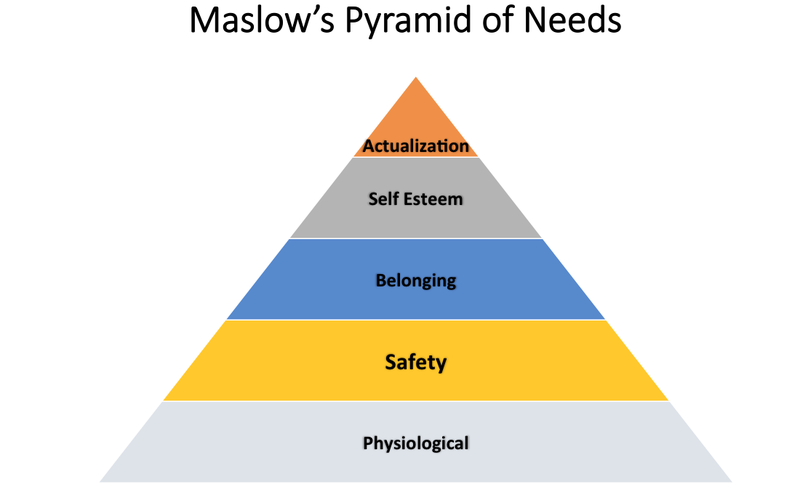 Notice that the basic physiological needs are in the middle of the pyramid with Honor & Esteem needs as the base and Belonging as the second layer. Prior to wrapping up, let me offer the best practices provided in the lecture. Short cuts won’t cut it. Building trust and respecting the process is a key to success. 2. Watch the state of Honor. Honor as fundamental in Islamic culture as fundamental as food and drink in the West. Just as you would with a court case, do some research to validate that what you want to do now has been done in the past. A critical nuance is that those with power ‘pull’ while those who perceive themselves as victims will ‘push’. Pulling implies indirect pressure. 5. Keep the constituencies in mind. Constantly insure that you are in empathy with the process while framing your positions. We in the PSYOP community need to be lifelong learners, sometimes this also means we need to search for new perspectives that help us optimize our efforts in diverse AOs. Focus is a key to influence success. Unless you know your messages and that of your opponent, you will not succeed. A narrative often forms the core of an enemy’s attraction. For example, Qulliam, a UK based think tank characterizes the ISIS narrative as: “Islam is under attack and we must defend it” (see: quilliam.org; Countering Islamist Extremist Narratives: A Strategic Briefing, January 2016). Developing an effective counter narrative requires an in depth understanding of the basis for the target narrative as well as a keen grasp of the communications media and vehicles use to influence target audiences. Naturally language and credibility are key as well as the ability to raise issues with the enemy narrative while not denigrating the base documents upon which the enemy alleges that the narrative is based. While Quilliam may argue that an attack on the broadest of narratives is the most logical starting point, an alternative approach might be to address sub-themes through a family of messages for each sub-theme and building up a case with the attack on the broader narratives. The report noted above has some excellent references and examples and is worth your time to check out. The beginning of a New Year is always a time to think about new perspectives. The students received a mini-booklet that described a company. By design it included financial statements, marketing information and panoply of other stuff. Your job as the student was to figure out what was wrong with the company and offer your recommendations on how to fix the company. I had one entrepreneurial professor during my MBA program at Babson College who gave us an assignment on a case study with a different slant. Our job was not to solve the company’s problems, but to get the consulting contract wherein the company would pay us to solve their problems. This assignment required a whole different set of skills and, in retrospect, formed some of the basis for my starting and running my own successful consulting business. 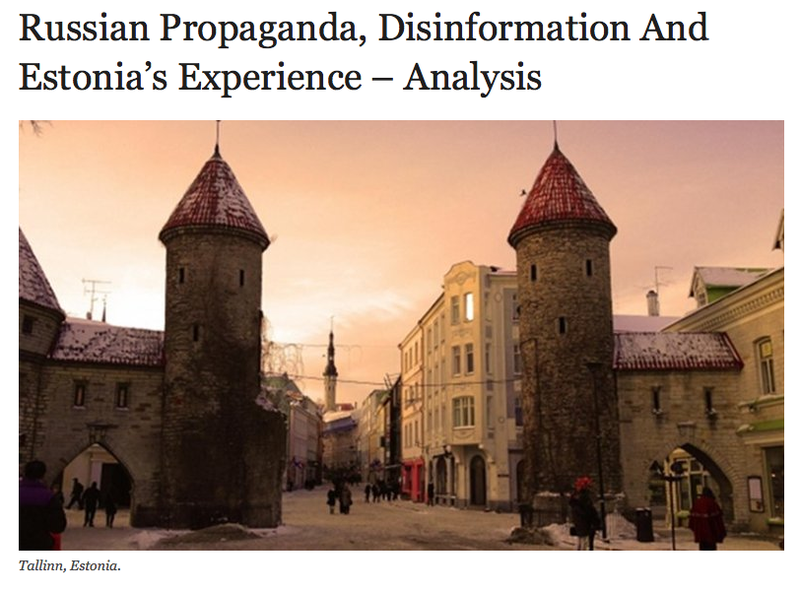 One of my sources directed me to a LinkedIn piece which in turn directed me to an article: “Russian Propaganda, Disinformation And Estonia’s Experience – Analysis (see: http://www.eurasiareview.com/04102015-russian-propaganda-disinformation-and-estonias-experience-analysis/, which is also the photo source). The content of the article is pretty good – but I am referencing it as a potential tool for PSYOP/MISO education. Given the range of current and potential adversaries and AOs, it is incumbent on us to develop the processing of thinking for PSYOPers. I would point to regionally-oriented on-line sources as a way to do this. The site referenced above seems to be a good one and I’m sure that there are others as well. In particular I feel we should be leveraging this type of exercise to stimulate the student thought process and to learn about other parts of the world notably Asia, Africa and Latin America. Reader input encourage and the best and brightest of New Year’s to all y’all!